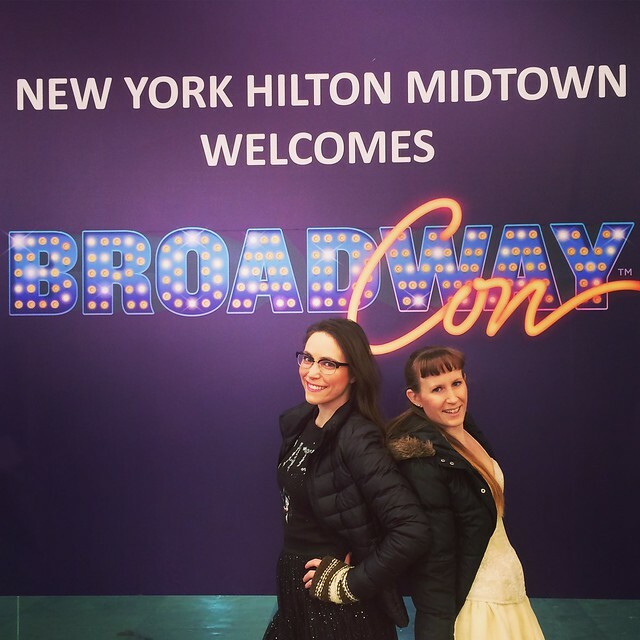 BroadwayCon officially started on Friday and we were ready for it! We luckily were staying at the same hotel the con was being held in so we did not have to go far but we had to hop outside for a quick Starbucks trip and a photo with the sign. 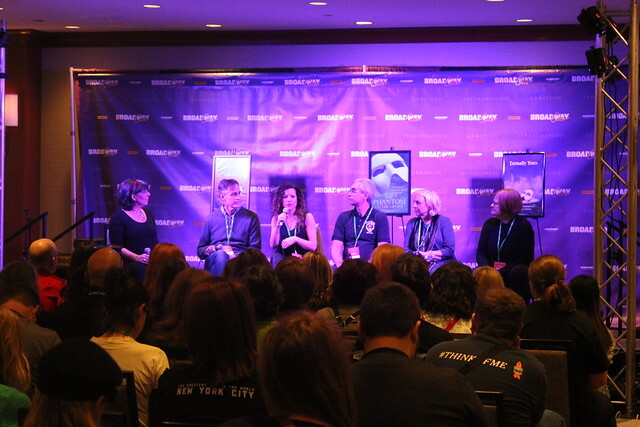 The first panel of the day was the Andrew Lloyd Webber fan meet-up. 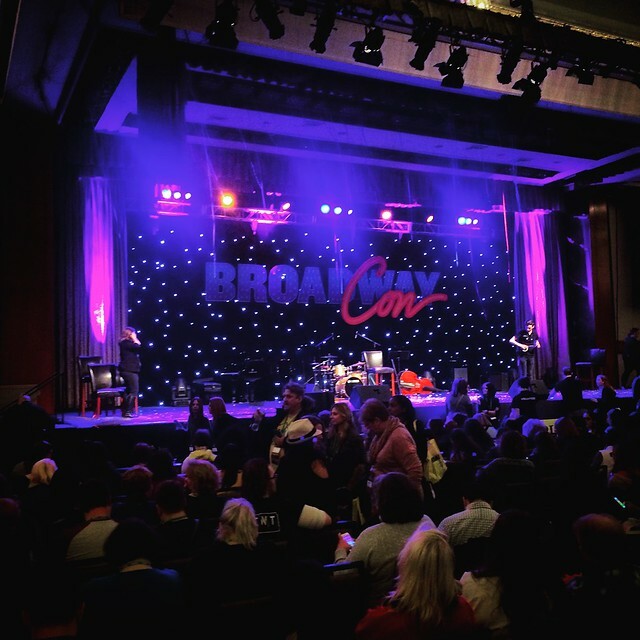 It was small (relative to the Hamilton fan meet-up in the room next door...I think they just sang the entire musical for their meet-up) but it was great. 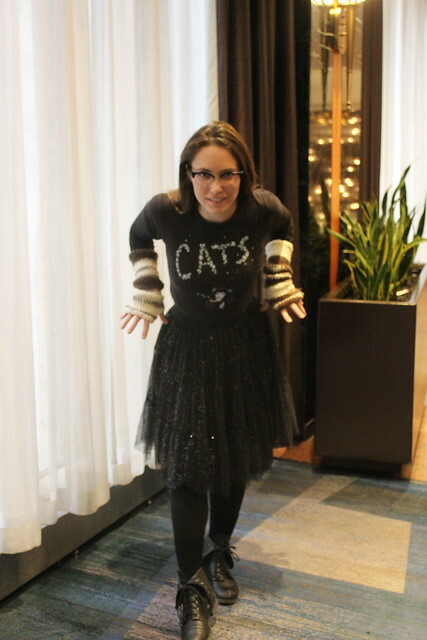 There were a few fans of Cats (whoo!) 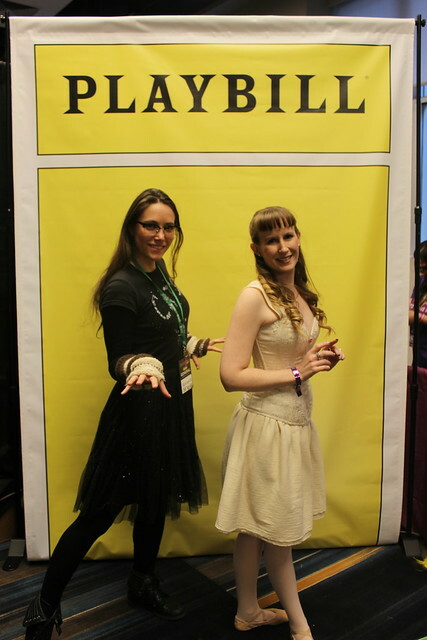 and lots of stories about Phantom being responsible for their love of Webber and musical theater. (I'm in that group as well.) 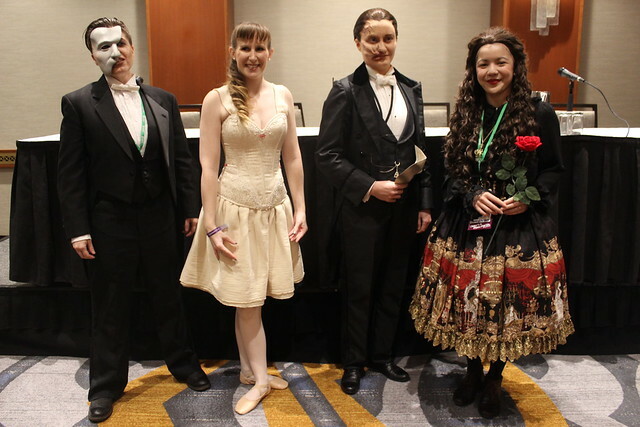 My cousin got up to take a group photo with the other Phantom cosplayers (she was Meg) and then I jumped in it as well. It was so nice to be around these people. 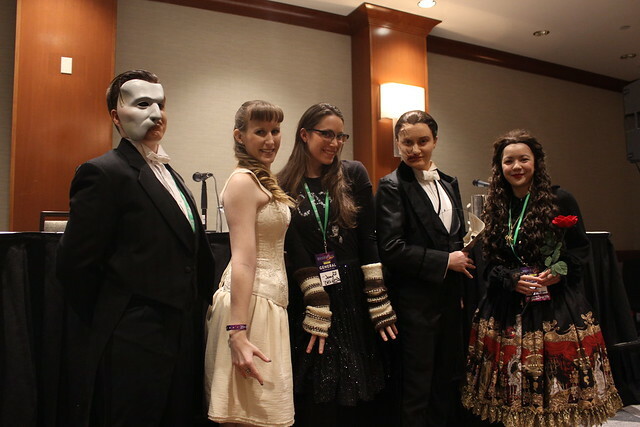 Because we were at that meet-up we got to hear of a surprise Phantom of the Opera panel happening right next door afterwords. So, of course, we were so excited to get to experience that. 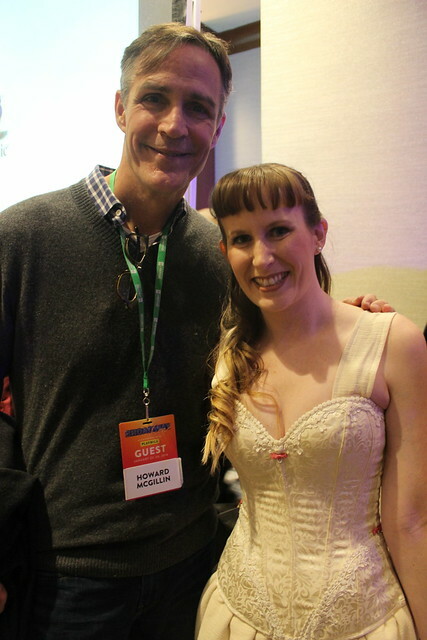 Dianna wanted a photo with Howard McGillin whom we both had seen (separately) play the Phantom on Broadway. The day was great, the vender hall was filled with more fan artwork than official merchandise and the creativity was wonderful. 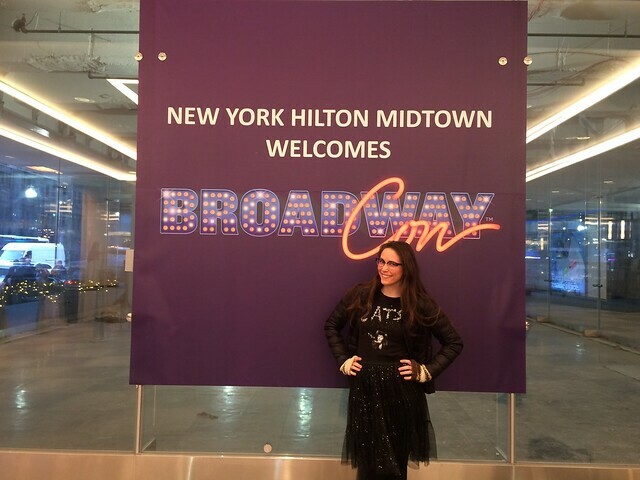 We enjoyed just walking around, singing show tunes, till the con really kicked off. The opening ceremony was perfect. (The writer/director of it even thanked me for filming it!!) I knew that something was different with this con. It had the pure fun of ComicCon with the focused subject matter of early VidCon, but without the self-promotion at every corner. It could have been just my personal experience, but with zero agenda other than enjoying myself felt like bliss. 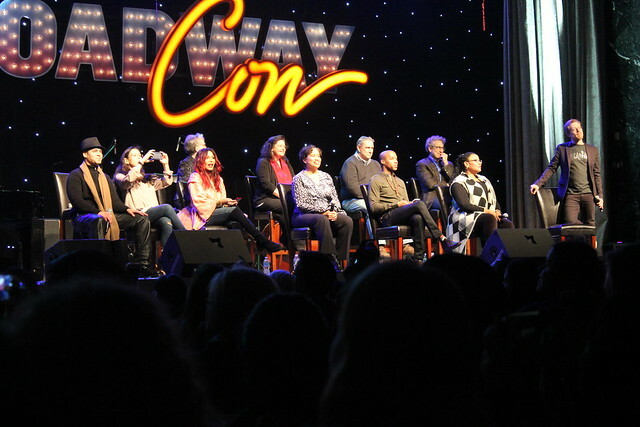 Both the Hamilton and RENT panels were perfect. There were laughs and tears and just so much love. I never really got 'deep' into the musical theater/Broadway world but now I want to know more about the performers and how these amazing shows come to be. Day one was great, and we could not wait for day two!